It's beginning to look a lot like Christmas! 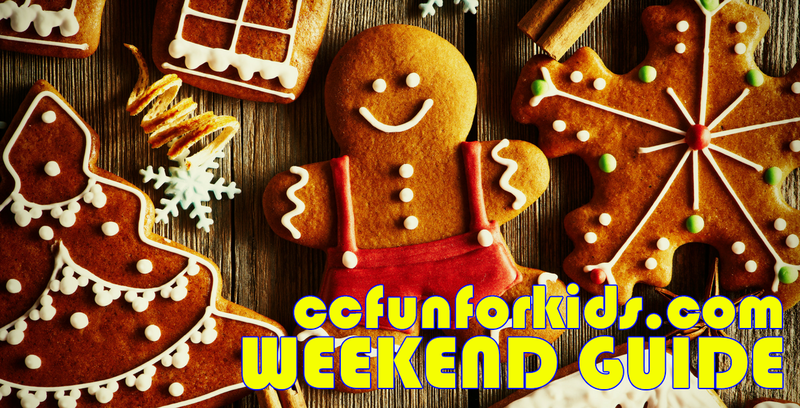 December is just about here and that means weekends are jam packed with holiday fun for the whole family! Remember, some of these activities may require registration. Always check with the organizations for the most updated event information or if you have any questions. We appreciate the shares and likes. If we're missing something, let us know! Compiling this information takes work, please credit or link back to Corpus Christi Fun for Kids when sharing. In the true spirit of Christmas, get a behind-the-scenes look at the backstabbing mothers and fiercely competitive daughters in the ‘Little Miss Christmas Pageant,’ an annual competition where ten girls (and their outrageous stage moms) compete for the coveted Christmas crown. Sequins, shiny shoes, and a can of hairspray aren’t all it takes to win this battle. These diva daughters and pushy moms are armed with sheer grit and a thirst for victory. However, when the value of truth, honesty, and love is learned, Christmas spirit becomes the true winner in this heartwarming new holiday classic. Cost: Tickets $16 plus fees. Buy online. 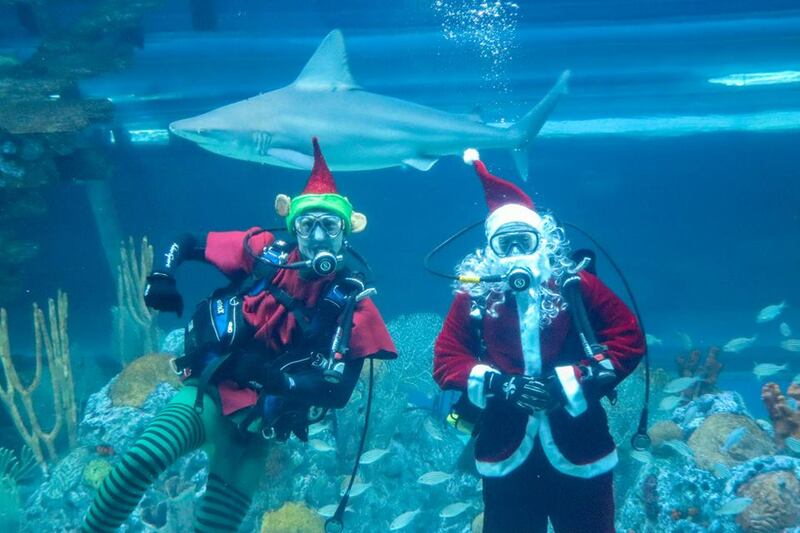 See Scuba Santa at 11 and 3 and “THE POLAR EXPRESS™ 4-D Experience®” every hour on the half-hour from 10:30 am - 4:30 pm. Cost: Free with regular admission prices adult $34.95, child (3 - 12) $24.95, military, senior and student $32.95, child 2 and under free. Free with museum membership. Purchase tickets online. Once again reflecting the theme of A Reading Wonderland, 30 school groups read their chosen award-winning childhood classic book, created related decorations, and trimmed their trees accordingly. As an added bonus, AMST visitors may cast their votes for their top three favorite trees. Dash on over to get your photos taken as the outlets will be transformed into a Winter Wonderland. 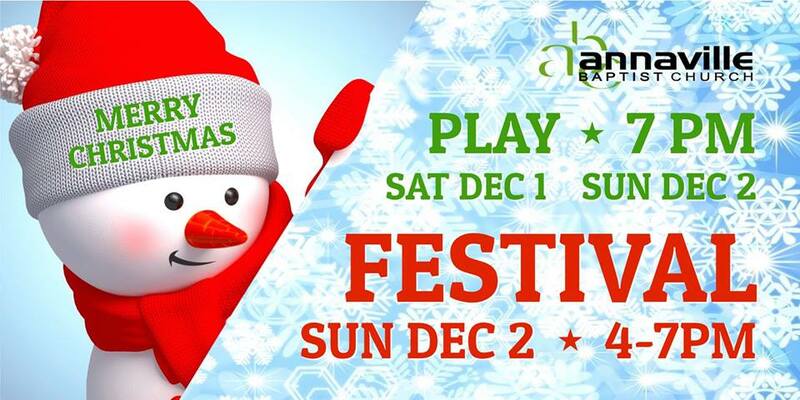 Stroll the stores, enjoy the food trucks and find savings that would make Santa blush. Our open-air, village-style center is your holiday headquarters for shopping, saving and mingling. The entire community is invited to join TAMUCC for an evening of holiday festivities at Texas A&M University - Corpus Christi supporting the Toys for Tots drive. Enjoy the holiday bash with Santa, music, refreshments, games, and activities, followed by the ceremonial campus lighting and wrapping up with the festive "Sounds of the Season" holiday concert. Cost: Free. Bring an unwrapped toy for the Marin Corps’ Toys for Tots drive at the University Center Entrances. A walk-through live nativity where you can talk with the characters and see the animals at the stable. 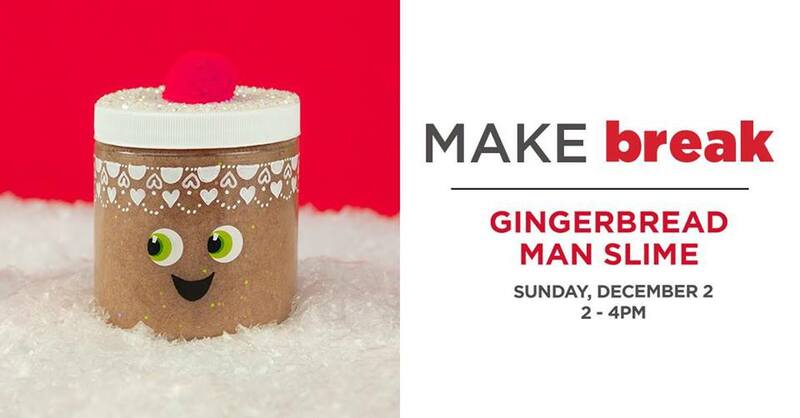 There will be hot chocolate and cookies for everyone! Enjoy a 65-foot movie screen experience on lounge chairs! Make sure to bring your blankets! Cost: $5 for children and seniors, $7 for adults, children 4 & under Free. Sounds of the Season features a variety of large ensembles featuring Islander students and faculty, including the orchestra, choir, jazz groups and more. 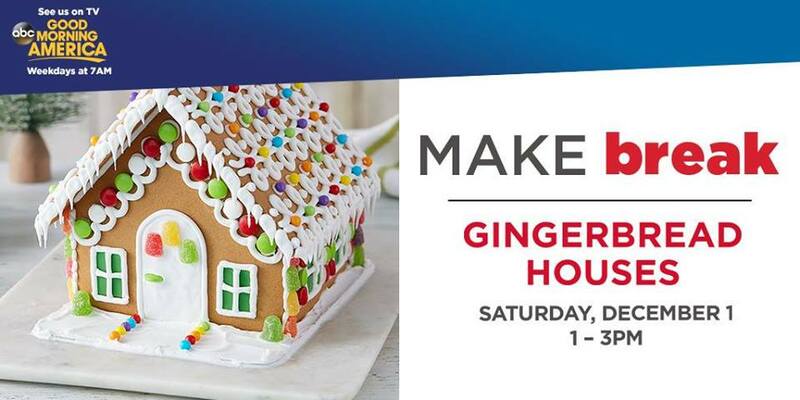 These talented artists will perform a wide variety of holiday favorites, from familiar Christmas carols to new classics the whole family will love. Cost: $10 adults $5 children and students 3 and under FREE. Purchase tickets online until 11/30. 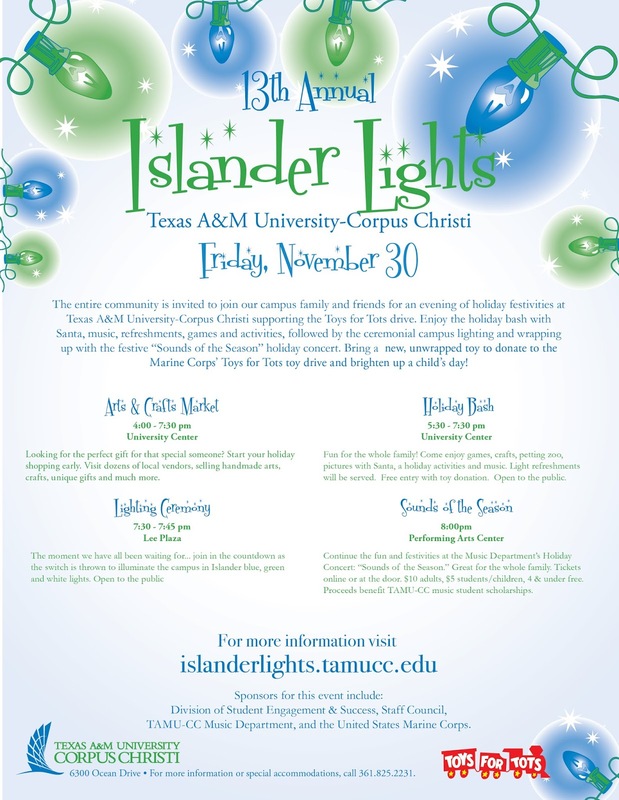 Cash only tickets will also be available for purchase at the University Center Information Desk during Islander Lights. Annual Breakfast with Santa plus a skit called "How the Grinch Found Jesus" will be presented twice during the event. 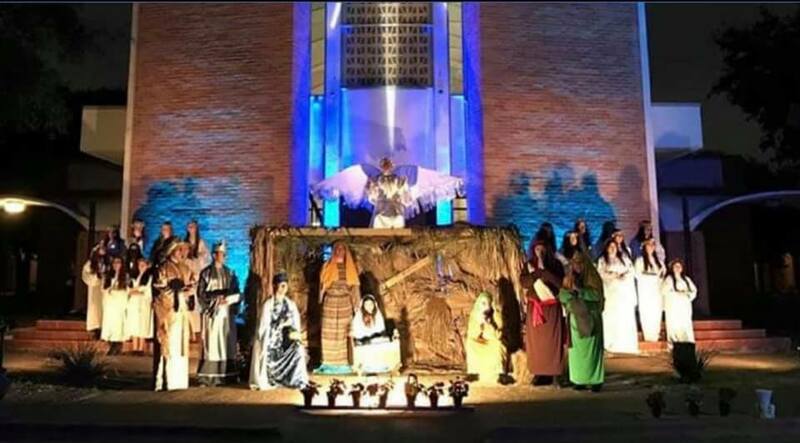 The skit will provide a unique opportunity for us to tell the story of Jesus. Cost: Free, suggested donation non-perishable food items to be donated to the Corpus Christi Food Bank. Everyone is invited to have breakfast, talk with Mr. & Mr. Santa, have your photo with them and fellowship with each other. Cost: Admission is a non-perishable food donation (can goods or boxed foods) to our church food pantry. A 20-foot Fraser Fir with 24,000 colored lights, on the Rose Garden lawn, will be the centerpiece of ‘Holly-Days’ at the Gardens At a second large tree in the Rose Pavilion, guests may use phones or cameras for brief photo sessions with Santa, parrots and reptiles. A third, smaller tree will decorate the Bromeliad Conservatory. 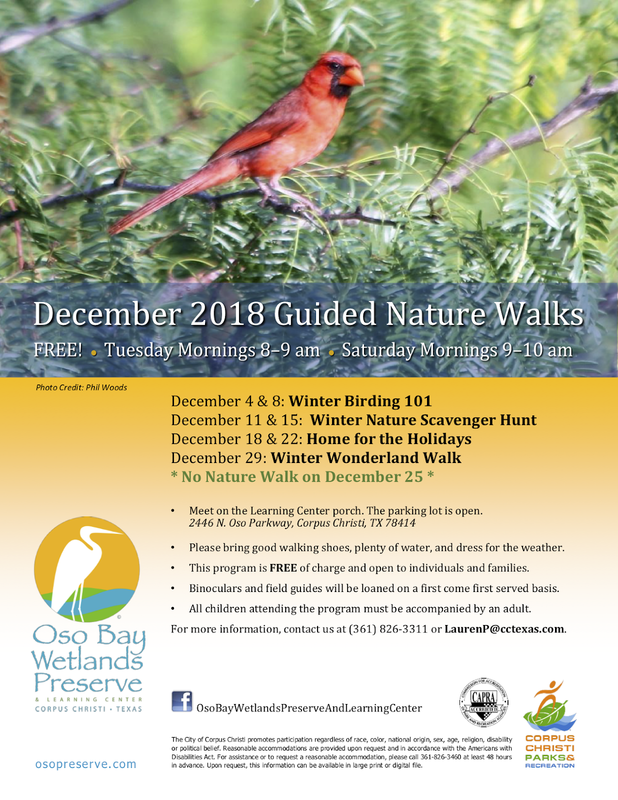 Other options for enhancing visitor holiday spirits will include crafts and storytelling for kids; holiday music while strolling through the Gardens; and great gift ideas in Nature’s Boutique. Cost: General admission - Adults over 12 $8, 60+Seniors/*Active Military/*College $6 (*ID Required), Children Ages (12 & Under) $4, Children Under 3 - Free with Paid Adult. All activities included in general admission except photo sessions with Santa and friends, $10 donation each, which helps fund parrot and reptile care. Dash through the snow in our hands-on workshop where you and your child can build a model sleigh pulled by a reindeer. Once your sleigh is complete, you and your musher can decorate it with paint and stickers and put imagination to work towing gifts around town. 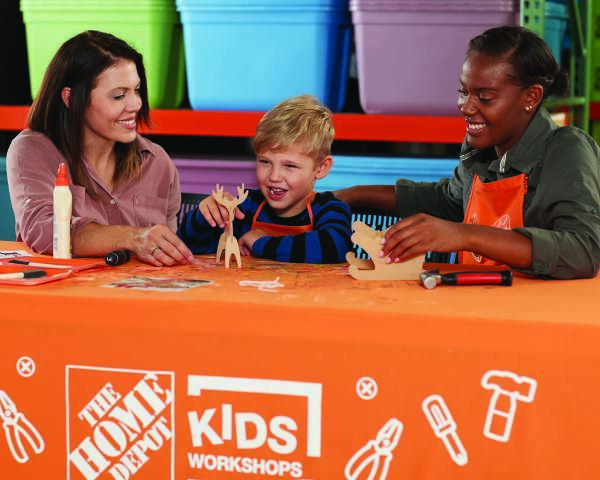 All Kids Workshop attendees must be accompanied by a parent or adult at all times. All kids get to keep their craft, receive a free certificate of achievement, a Workshop Apron, and a commemorative pin while supplies last. Children must be present at the store to participate in the workshop and receive the kit, apron, and pin. Cost: Free. Register online so locations can measure quantities. 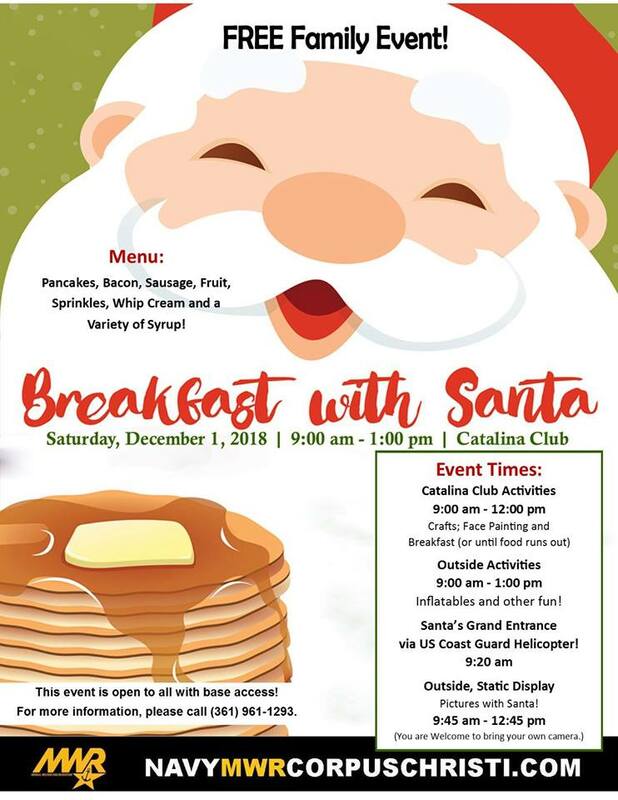 A special breakfast and pictures with Santa with activities that will include arts and crafts, inflatables, and face painting. The menu will include pancakes, bacon, sausage, fruit, and syrup. Families with children with base access are invited to this event! For more information, please call 961-2355. 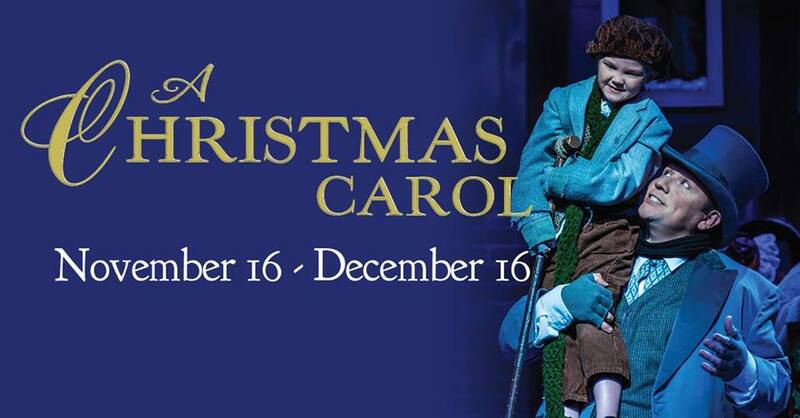 Reserve your seat with a donation with all ticket sales benefiting education programs at your local PBS station. This is an all-ages show with Alamo for All rules - noisy young fans won't be asked to leave the theater but we do ask that cell phones and other devices stay dark. Cost: $2 per child for kids 3-6, $5 for kids 6+. Supplies included. From the sparkly to the brightly painted, create twinkling, shining, twirling decorations to adorn your family tree. Our heroes' entry for the snowman contest has magically come to life. Will the snowman teach our heroes a lesson they'll never forget? Who snows! Day-long, pirate-themed extravaganza kicking off the holiday season with fun, festivities, fireworks and more in Historical Rockport. Among the featured events are an illuminated night parade, children’s programs, decorating contests, pet costume contest, arts and crafts festival, food and entertainment, and, of course, a visit with “Tropical Santa." Topping off the annual event will be a spectacular fireworks display. 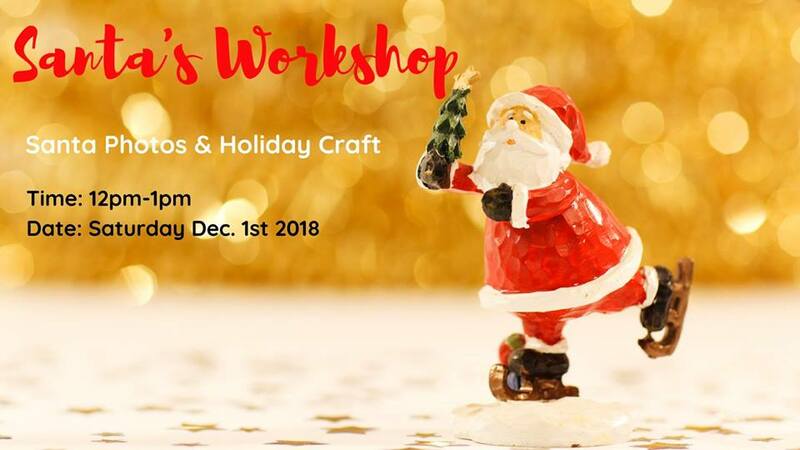 Take your picture with Santa and make a holiday craft! A free event at the library. Seven venues will be decorated for the holidays. Each year different homes are featured on the tour to provide new experiences for the guests. Docents in vintage dress appropriate to the house will greet visitors and provide a commentary. Historical facts about the homes and their owners will connect the visitors to the real history of these local treasures. Come get in the holiday spirit and take pet pictures with Surfin' Santa! Bring your pets and your camera and come take a FREE PHOTO with Surfin' Santa. Dogs, cats, pigs - all pets welcome. Parents enjoy some Kid free time and get your shopping done in peace! Let our City Lights Youth group take care of your littles for a full 4 hours! Dinner will be provided along with fun activities and a movie. Cost: $7 per child not to exceed $20 per family. Age range is 2 yrs old through 5th grade. As the sun goes down, the Rockport Beach Parks plays host to the ever-popular, illuminated night parade. Access for parade viewers begins at 5 pm and there is no charge. The City, community organizations and neighboring towns and villages all participate with their own floats and entertainment. Following the parade, the Community Christmas Tree is lit. Featuring some of the best athletes of the sport going head to head with the fiercest bulls in the country. 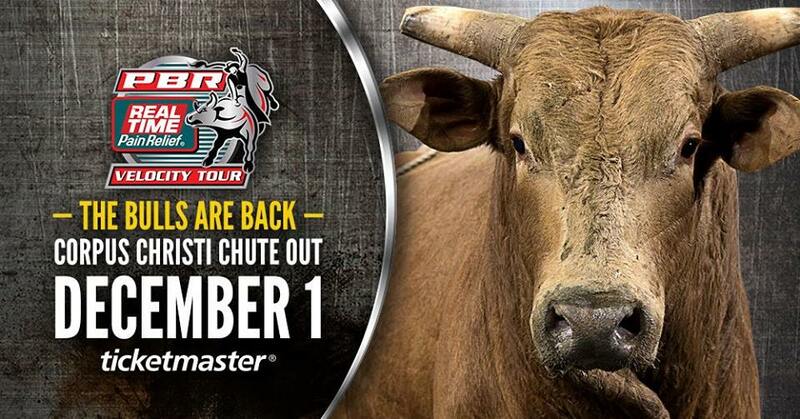 The PBR Velocity Tour will bring all the high-energy sound, lighting, special effects and edge of your seat action that fans have come to expect from the World leader in the sport of bull riding. 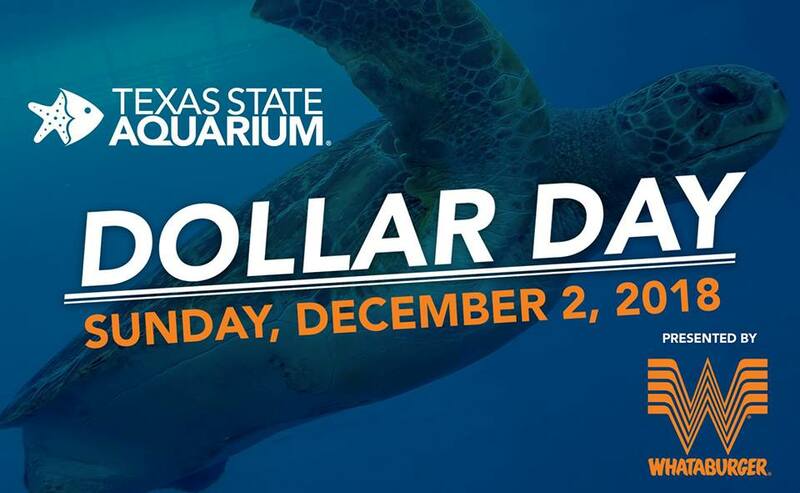 Dollar Day guests can take in all of the Aquarium’s exhibits and a show at the Whataburger 4-Dimension Theater, the only 4D Theater in South Texas. This special entertainment experience brings the audience into the action of the movie with 3D visuals in combination with snow, wind, water, jolts, pokes, and other immersive effects. On Dollar Day, the Whataburger 4-Dimension Theater will feature continuous screenings of “THE POLAR EXPRESS™ 4-D Experience®. Due to the significant increase in attendance on Dollar Days, regular presentations and visitor programs will not be provided. Due to the significant increase in attendance on Dollar Days, regular presentations and visitor programs will not be provided. Cost: $1. 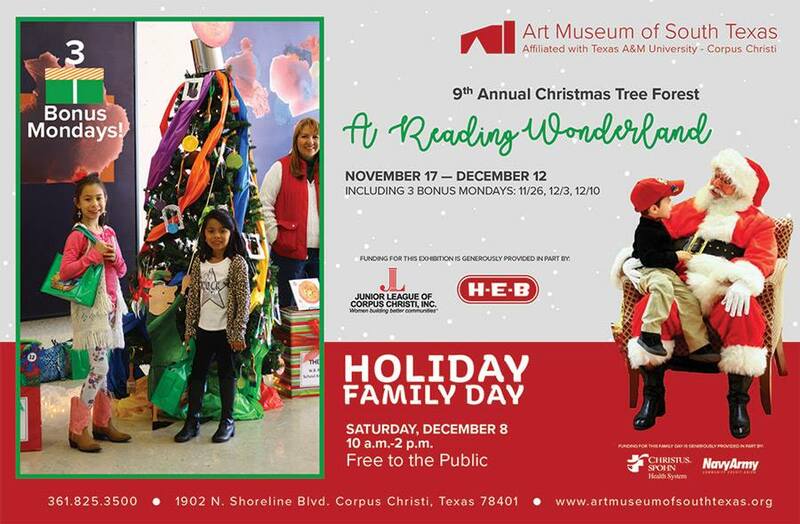 Children 2 and under will receive free admission and parking is included with admission. Tickets are only available for purchase on-site on December 2. Dollar Day tickets cannot be purchased in advance or online. Presented by the Corpus Christi Messiah Chorus and members of the Corpus Christi Symphony under the direction of Brad Kisner. Soloists include Nancy Lanmon Munn, Hope Thacker, Nick Lopez, and Ross Bernhardt. Offering will be taken to support United Methodist Committee on Relief. 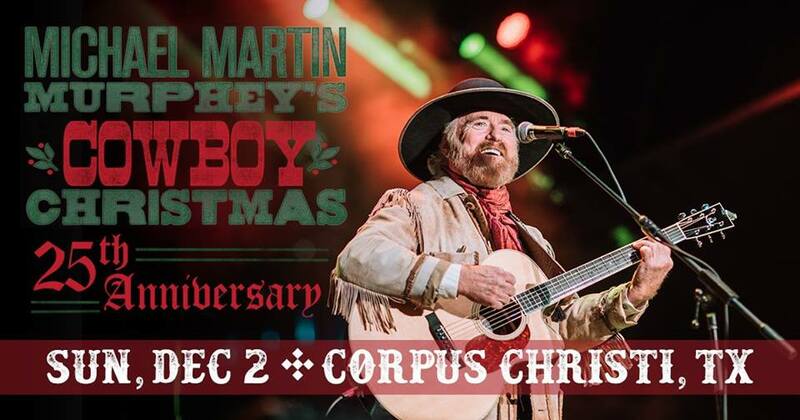 Michael Martin Murphey is not only the number one, best-selling singer/songwriter of American Cowboy Music, he's one of the world's most respected singer/songwriters in the Pop and Country-Western field. In May, 1975 Murphey’s story song, "Wildfire," reached No. 1 on the Radio and Records charts, No.3 on Billboard's Pop Chart, and No. 1 on all Adult Contemporary Charts, giving the artist vast commercial exposure. Michael broke ground with an innovative concert concept called "Cowboy Christmas" in 1987 which has become a trademarked touring show and musical concept for him. 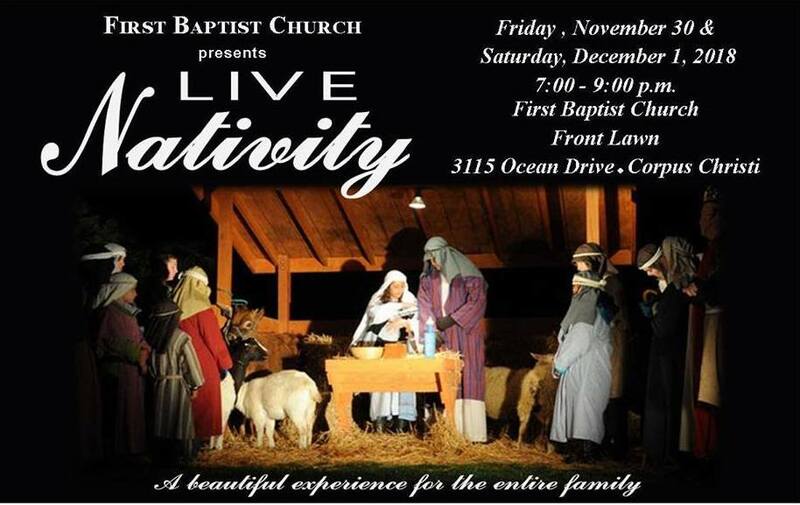 Christmas Play, "The Unlikely Shepherd," and games, inflatables, train, hay rides, hot cocoa, s'mores and more. We will also have a number of Food Trucks on site during the Festival, so make sure to bring cash or credit card for snacks, drinks, food, and dessert! Cost: Admission is free and complimentary hot chocolate and cookies will be provided.